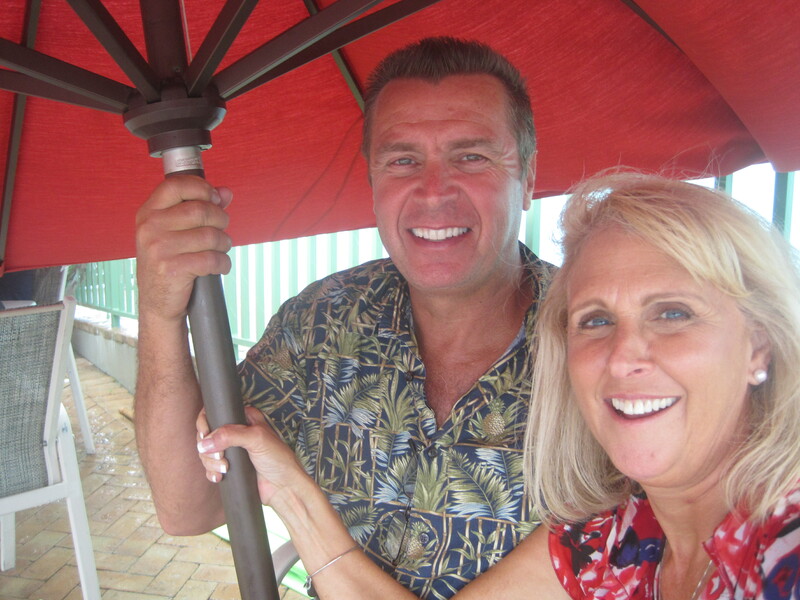 The other day Nancy and I were having lunch at Nervous Nellie’s one of our favorite restaurants on Fort Myers Beach. We were sitting outside listening to the band (No Way Jose) and watching some dark clouds rolling in. A few minutes after on lunch was served the rain started coming down. When it rains in Florida it comes down by the buckets full. Everyone started making a mad dash to get inside. I spotted the quick thinking couple next to us as they disconnected the umbrella and lowered it to cover their table. I thought brilliant and followed their lead. We were able to finish our lunch and watch the deluge of rain tucked up under the large umbrella.